Transfer vital personal data from last year's tax return, including information required for IRS e-file. Plus, minimize errors by importing charitable donations, stocks, W-2s, and more! Never get stumped by a tax question. Search for the fastest answers in the Answer Center, or contact us for free tax & technical support when you need it. TaxAct inspects your return for errors and omissions that could increase your risk of an audit, and finds valuable tax-saving opportunities you may have missed. Maximize your deductions and minimize your taxes with TaxAct Plus. 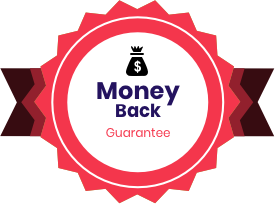 All the forms & features you need are included so you get your guaranteed maximum refund. Get the biggest tax breaks from your mortgage interest, investments and more. If you own a home, have investments, or made charitable donations, TaxAct Plus has the forms and tools for your specific tax situation. Donation Assistant® tracks your charitable donations and provides audit-backed values to eliminate guess work and maximize your tax deduction. Your federal information automatically flows into your state tax forms so you can finish and file your state return in minutes! 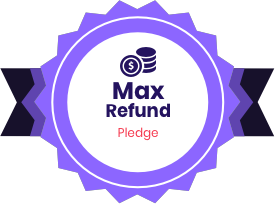 Your return is guaranteed 100% accurate, and you'll get your maximum refund the fastest way possible with e-file. Navigate your return on your terms. Simply Bookmark a question to return to it at any time. Get a personalized view of the forms and schedules included in your return. Easily add copies of needed documents and view your in-progress forms. Partner's or Shareholder's Share of Income, Deductions, Credits, & Recapture. Support for Military income exclusion and Schedule W.
Accumulated E&P of Controlled Foreign Corp. Partner's Share of Income, Credits, Deductions, etc. Get your biggest refund guaranteed with TaxAct on accepted federal e-filed returns. 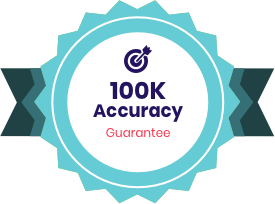 Our accuracy guarantee is more than our word - it's backed by $100k. Because your peace of mind is priceless. TaxAct guarantees you are completely satisfied with your TaxAct software purchase.